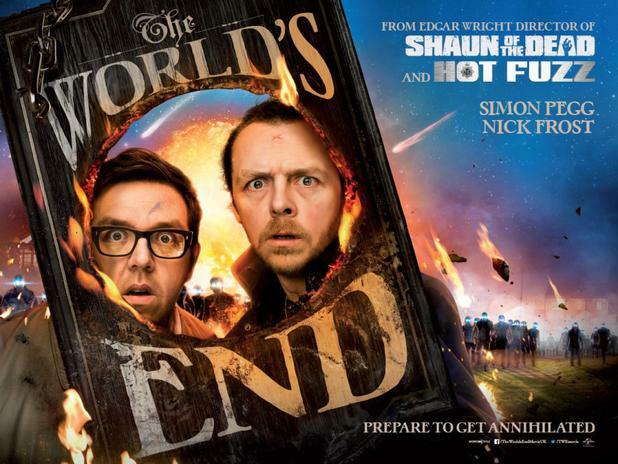 The World's End is the final film in the so called Cornetto Trilogy. The previous film of course (all staring Simon Pegg and Nick Frost and directed by Edgar Wright) being Shaun of the Dead and Hot Fuzz. While Dead dealt with zombies, and Fuzz dealt with a cult The World's End has a sci-fi bend to it influenced by the Invasion of the Body Snatchers films. At the start of their adult lives 5 friends led by cocky rebel Gary King (Pegg) attempt a legendary pub crawl that would see them visit each of the 12 pubs in their home town of Newton Haven. The pub crawl is not successful though much to Kings dismay. 20 years later King decides to find his old friends and convinces them to return to Newton Haven, this time to successfully complete the crawl. However the town has changed since they have gone, nothing seems the same and the towns folk all act strange. It turns out that it isn't just bad nostalgia that has caused this perception change but that it appears the entire town have been replaced with alien pod people. Not wanting to draw attention to the fact that they know this fact King convinces his group to plough on and complete the pub crawl, but is this a sound plan or is King putting his own wishes against the betterment of the group? When I first saw Shaun of the Dead I actually didn't like it! It took me repeated viewings before I fell in love with it, it has layers of comedy that just shine more and more with repeated watchings. The same happened with Hot Fuzz, though in that case I watched the film while sat in the very front row of the cinema so was hard to enjoy it with a terrible view. I left The World's End not thinking it was fantastic, though certainly better than the poor trailer would suggest. Cameo wise this has the most yet of the trilogy, everyone from Mark Heap (Spaced, Jam), Al Murray, Pierce Brosnan to loads and loads of actors from Dead and Fuzz show up. Pretty much each of the 12 pubs introduces a slew of recognisable faces. The 5 main characters are not that well developed. King is unapologetically cocky, a teen trapped in a 40 year olds body who sees the failed pub crawl as the starting point of his lifes downward spiral. For him completing the crawl is a way to fix his problems, even the appearance of a town full of deadly robots (or Blanks as the group term them) is not going to stop his mission and he will drag his friends with him to the bitter (The World's) end and his salvation. 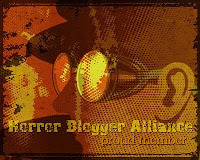 Pegg does a great job there, the others are not so interesting. The rest of the group have all matured and have proper jobs and are not that different from each other. 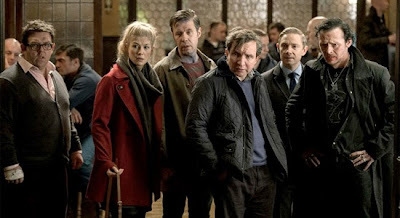 Nick Frost as Andrew Knightley has a hidden deep seated resentment for something King did in the past, Martin Freeman as Oliver is kinda bland, as is Paddy Considine as Steven. Eddie Marsen as Peter the former bullied kid is very well acted actually. Invasion of the Body Snatchers was a scary film, the idea of being surrounded by emotionless husks and the potential to get assimilated was frightening, however even though it is a similar situation here there is never any fear. The Blanks may attack in force but they are physically quite weak, literally falling apart when attacked which leads to some fun moments, and plenty of blue ink (which is what the Blanks bleed). I kept thinking if the blood/fuel/whatever was red then it would have probably ramped up the film to an 18. The special effects are quite cool and fight scenes are chaotic and exciting but Blanks are just less dangerous zombies really. I did laugh out loud on quite a few occasions, the humour's in full force but I would have to see it again to see if it is as funny as the previous films, it didn't seem like it was. Plot wise the whole sci-fi angle is ok, bit of a sloppy resolution that left me slightly unsatisfied, and the film did seem to drag a bit towards its final section. I couldn't decide whether this film was a 6 or 7, I went with 7 in the end based on the assumption that it will get better with repeated viewings.